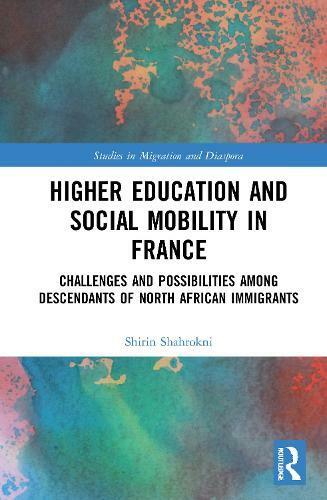 This book offers an in-depth sociological exploration of the social trajectories, identity negotiations and aspirations of France's children of post-colonial immigrants embarked on paths of extreme upward intergenerational mobility. Departing from the focus of much scholarly literature on life experiences of the life experiences of those amongst the 'second generation' located at the bottom of the opportunity structure, the author draws on life history interviews with young adults of North African immigrant background, enrolled at or having recently graduated from the country's elite higher education institutions, the grandes ecoles, to delve into unknown pathways and give voice to high-achieving members of a population that continues to be collectively associated with difficulties to 'integrate'. As such, this volume constitutes the first sociological study to document, from the individual actor's perspective, the everyday practices of racism within France's elite educational institutions and to reveal the (upward) mobility experience to be informed by the interlocking effects of racial processes, immigrant ancestry, class background and gender. Challenging the pervasive representation of descendants of North African immigrants as 'unsuccessful' and 'unable to integrate', this book sheds light on the experiences of the largely silent upwardly mobile members of a stigmatized minority group, revealing the strategies used to respond to the constraints to their mobility and the importance of familial histories of post-colonial migration, characterized by the former generation's efforts, sacrifices and resilience.